The U.S. retailer’s 13-digit market capitalization puts it in a club whose only other member is iPhone maker Apple. But market values have limited real-world meaning. Achieving sales of the same magnitude – twice top dog Walmart’s – would be more crunchy. It could happen. 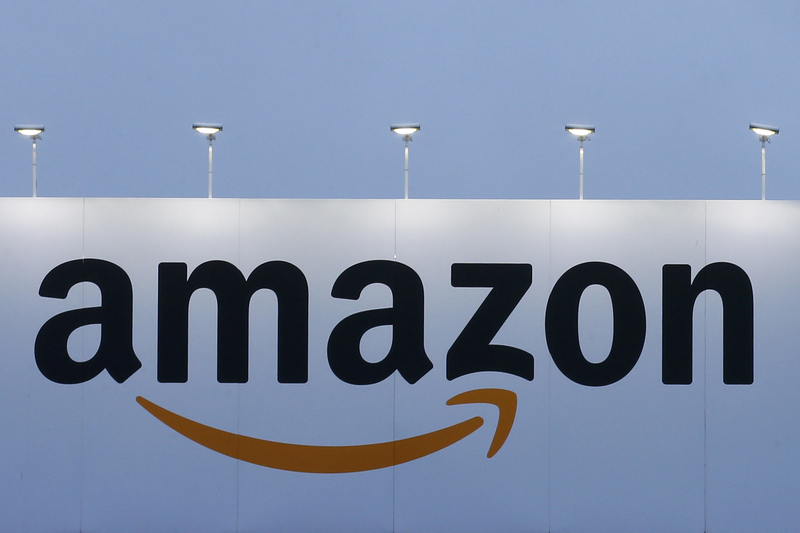 The logo of Amazon is seen at the company logistics center in Lauwin-Planque, northern France, February 20, 2017. Amazon, the U.S. online retailer, reached a market capitalization of $1 trillion on Sept. 4, as its share price briefly hit $2,050.50. Smartphone maker Apple passed the $1 trillion mark on Aug. 2. Its market capitalization was $1.1 trillion when the market closed on Aug. 31. Amazon reported a cumulative $208 billion of revenue over the past four accounting quarters. Apple reported $255 billion, while U.S. retailer Walmart reported $510 billion.